Building Industry Advisors provides a complete suite of M&A, capital placement and strategic advisory services to our clients. Regardless of the type of assignment, our clients can count on an exceptional level of service and responsiveness, attention to detail and the hard work and persistence on which we have built our reputation in the building products industry. Our professionals work in close collaboration with our clients and their other advisors to complete assignments in a highly efficient manner that brings about the client’s desired outcome. Our primary service areas are described in greater detail below. Business sales and divestitures Building Industry Advisors tailors its services to suit the needs of its clients. Our professionals approach every assignment as a unique event, without any preconceived notions of how the business sale should be executed. We work closely with our clients and their tax, legal and financial advisors throughout the sale process to ensure that the outcome meets our client’s unique needs. Because of our extensive network of contacts among potential acquirers, acquisition targets and capital providers, our professionals are able to identify the optimal transaction partner for our clients. By beginning each transaction process with a broad group of potential partners, we maintain competitiveness and ensure a transaction that clears the market. The thoroughness of our approach reassures our clients that they have received the best possible offer, with respect to both valuation and terms. Increasing this certainty is our knowledge of prevailing market valuations for building products companies. By focusing intensively on a single industry, we have afforded ourselves a thorough understanding of market valuations for companies in various segments and at differing sizes, growth rates and levels of profitability. Every transaction encounters various obstacles and points of resistance between the initiation of the search for a transaction partner and the completion of the assignment. One of the most important jobs of an investment banker is to overcome all potential obstacles to a successful closing. At Building Industry Advisors, we surmount these obstacles through a combination of raw persistence, our past transaction experience and our network of relationships. Another important job of the investment banker is maintaining, as much as possible, the confidentiality surrounding the fact that a transaction is being contemplated. On a similar note, it is important that proprietary information, such as trade secrets and customer lists, be divulged only to the eventual buyer and only when a transaction is imminent. As the closing approaches, our professionals direct the compilation of materials needed by the transaction partner for their final due diligence. We are also responsible for leading the negotiation of all documents germane to a closing, including the definitive agreement and ancillary agreements such as employment contracts. As the closing approaches, we work diligently with our clients and the acquirer’s advisors to ensure that we will achieve a successful closing of the transaction. 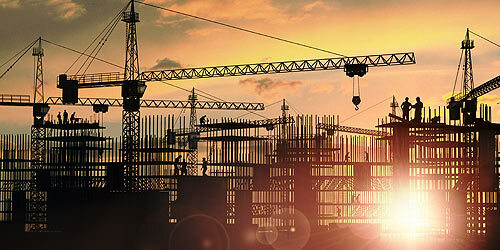 We have deep experience in the sale of middle market building products companies. Our completed transactions have covered a variety of building product segments and have involved the sale of manufacturers, as well as distribution businesses. Our professionals have completed the sale of highly profitable and troubled companies alike and unique transactions such as the sale of intellectual property. Regardless of the type of transaction we undertake, we bring a mix of experience, ideas and persistence that allows us to lead transactions to a successful outcome for our clients. See a representative sample of our completed transactions. When working on an acquisition advisory assignment, our professionals draw on their experience in handling business sale transactions. Our principals are accustomed, as advisors to sellers, to having the primary responsibility for moving a transaction along toward a closing. In an acquisition advisory assignment, we bring to bear the same urgency to make progress toward completing a transaction. All of the steps needed to complete the sale of a company – due diligence, documentation, negotiation and other steps – must also be completed when acquiring a company. Our ability to develop opportunities, combined with our expertise at closing transactions, makes Building Industry Advisors the ideal choice for any organization seeking to build a proprietary acquisition pipeline in the building products industry. Private placement of equity: common stock, preferred stock and convertible securities. The success of a capital placement should be measured by the extent to which the capital allows our client’s company to accomplish a predefined set of goals and objectives. The following are examples of the many types of projects that motivate clients to seek a source of external financing. Valuations: Building Industry Advisors provides independent valuation services to private companies in the building products industry for many different purposes. These include preparation for selling a company, estate planning purposes and other reasons. As a result of our experience in the area of mergers and acquisitions, we fully understand the valuation process that buyers and investors utilize when considering transactions. In order to arrive at an appropriate value for a business entity as a going concern, it is critical that all quantitative and qualitative factors regarding the company be considered. In addition to a thorough analysis of the financial results for the company, much attention must be given to the industry and economic environment within which the company has been operating. The company's relative performance within the building products industry; the management of the company, its strengths and breadth; its products and their relative position in the marketplace; its organization and the work ideals of its employees; its relationship with its customers and suppliers; and future prospects for the company and its industry are crucial to arriving at a proper valuation. Locating Strategic Partners: Building Industry Advisors maintains a broad database of companies engaged in the full spectrum of residential and commercial building products. Our knowledge of these companies, and the products they offer, gives us a unique ability to identify companies that are complementary to one another. Building Industry Advisors provides a thorough and efficient means of screening through a variety of market participants in order to identify joint venture partners, allowing for product and geographic expansion. Research Projects: Our professionals are uniquely qualified to undertake a wide range of specialized research projects. Such projects include researching and preparing market intelligence reports, such as market size or product positioning analyses. Other projects include an analysis of a company’s competitive and pricing position in the market or the strengths and weaknesses of the company’s brand. Financial Consulting: Building Industry Advisors offers financial consulting services to private companies in the building products industry. Because of our knowledge of the financial markets and our experience in mergers and acquisitions, private placements, valuations and appraisals, we are able to advise our clients on the most complex financial matters. Because of our regular involvement in multiple facets of corporate finance, Building Industry Advisors maintains a high degree of awareness of the current business environment, and as such we are able to quickly grasp, understand, and provide solutions to financial problems as they arise.